Problem: We wanted to get a second Fiat 500 at the same time we were about to have a baby. 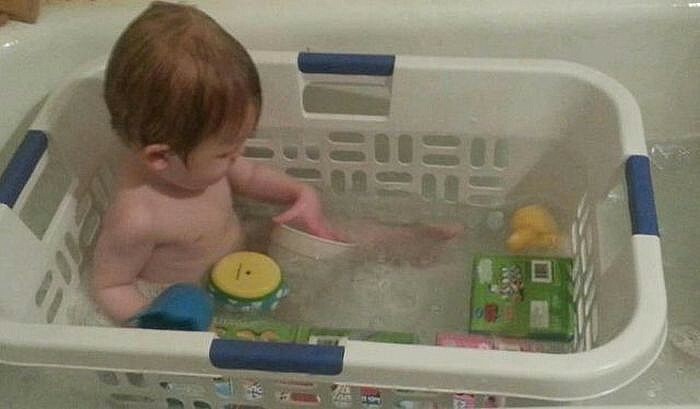 But strollers and baby seats on the market didn’t seem to fit. Simple solution: Get a bigger car and give up all the advantages we had enjoyed with our first Fiat 500. Verve solution: Do some serious research and find products that could fit the Fiat 500. Then get another Fiat 500 to have the best of both worlds. 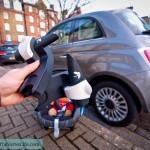 That’s how we found the Bugaboo Bee and Maxi Cosi Cabrio Fix. With these clip on adapters you can mount the Maxi Cosi onto the Bugaboo Bee frame. Perfect for quick trips in the car. 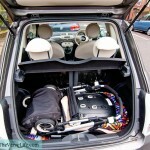 The Bugaboo Bee folds down and fits perfectly into the Fiat 500 trunk. 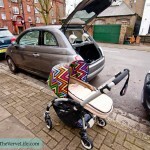 The Fiat 500 and the Bugaboo Bee. They almost look the same size! 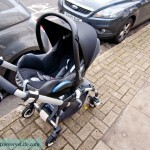 The Maxi Cosi mounted on the Bugaboo Bee using adapters. Perfect for quick car trips. 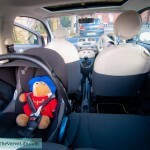 Previous articleFiat 500 – Family Car?